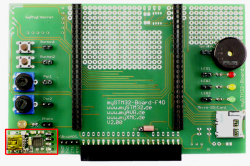 With the STM32F4-Discovery you can easily discover the functions of the STM32F4 and develop applications in simple manner. 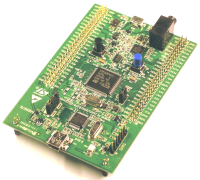 For beginner and advanced, it enables a fast induction at the ARM technology. 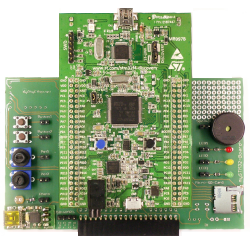 The STM32F4-Discovery used the ARM Cortex M4 controller STM32F407VGT6 and includes embedded an ST-Link/V2 for the programming and debugging, a 3 axes acceleration sensor, a digital microphone, an audio-DAC and an USB micro-USB-connection. 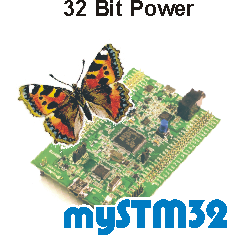 The mySTM32-Board-F4D functioned as an Add-On and it is an ideal addition to the STM32F4-Discovery. 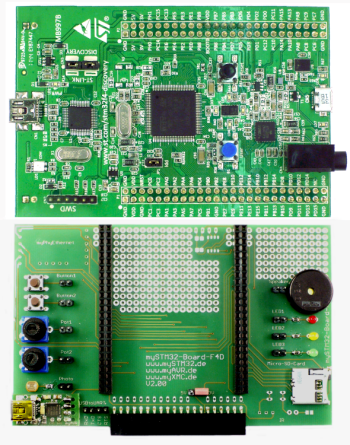 Additional digital and analog input and output devices, plus an USB-UART Bridge for the communication with the pc complete your stage of experiment and study.